I have been very lucky to have had a rare opportunity to paint with David Tress this weekend. He is one of Britain’s foremost landscape artists. 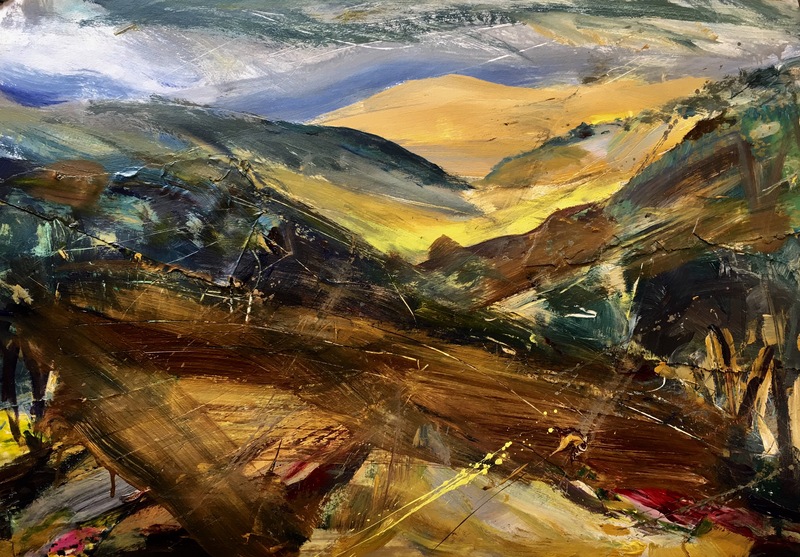 David paints the rugged scenery of his beloved Pembrokeshire where he lives. 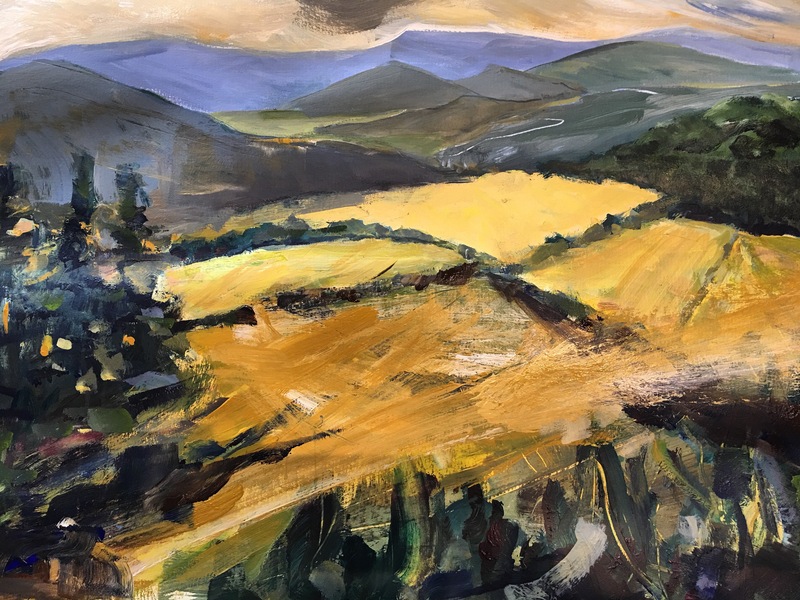 We went sketching up in the hills of South Shropshire and cane back to the lovely studio of Bobby Britnell to paint big pieces which concentrated on the feeling of ‘space’. Extraordinary views and wonderful mentoring. I’m feeling very refreshed and inspired.